Have you recently got a job abroad? Have you got a work visa in a foreign country and are hoping to spend a few years there? It might mean that you will become a Non-Resident Indian(NRI). 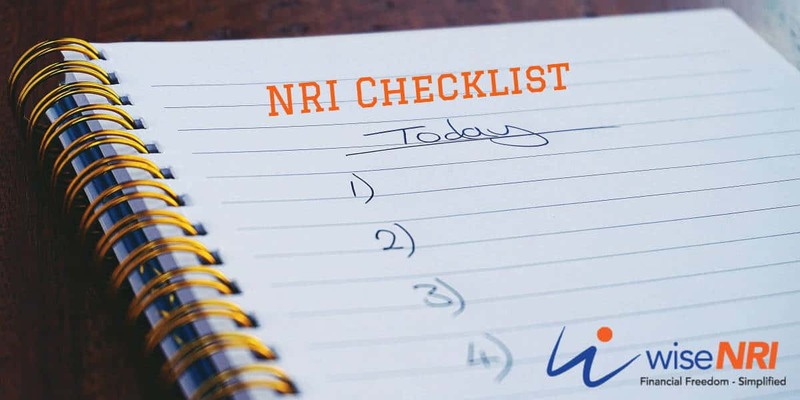 You need the NRI Checklist. The status of an NRI is different from a resident Indian under the Foreign Exchange Management Act (FEMA) and the Income Tax Act and you have to take certain steps to transition smoothly to the new status. 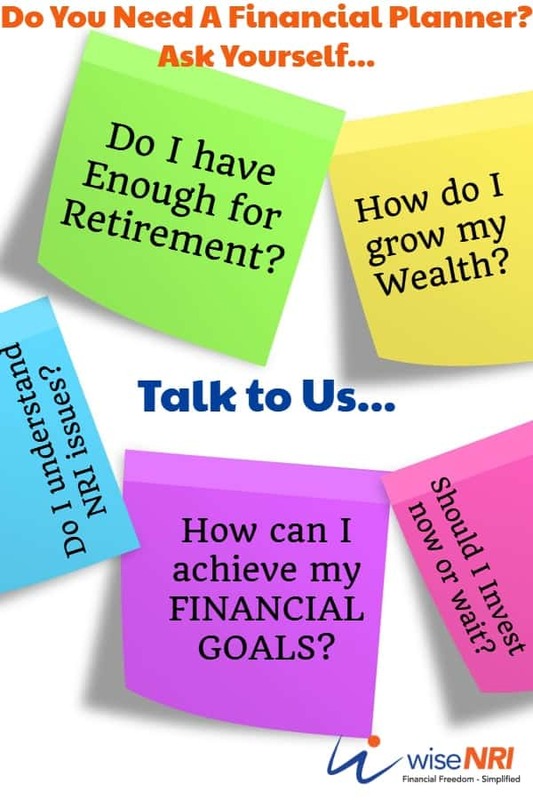 What are the important things to be taken care of before becoming an NRI? 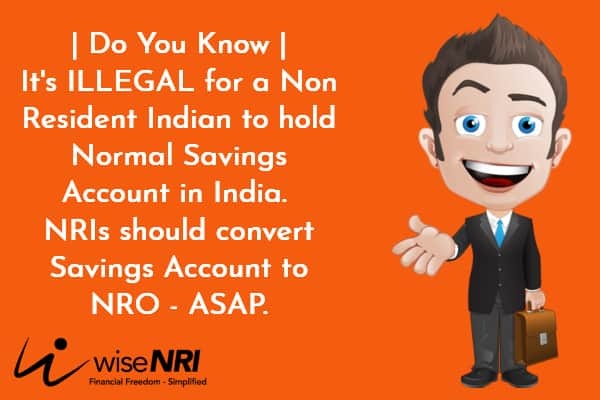 Convert existing bank accounts (savings accounts and Fixed deposit accounts) to NRO accounts. It might be better to consolidate many accounts to a few and then convert them to NRO accounts as it might be difficult to manage so many accounts from another country. NRO account can be used for transactions in India such as receipt of dividend/rent or payment of EMIs as well. Check which of the insurance policies will benefit you if you continue the plan. Check if the policy will be in force when you become an NRI. 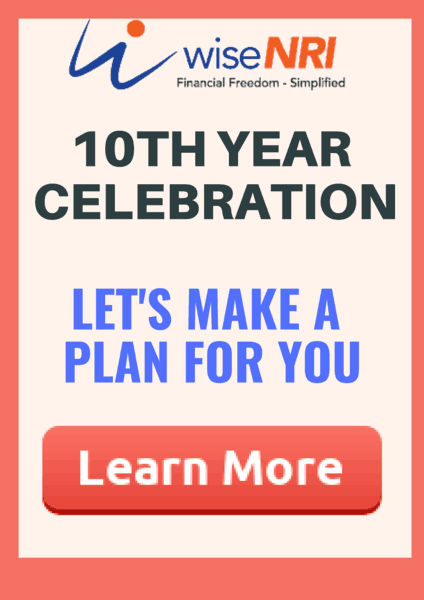 Usually, term plans continue to be valid when you become an NRI. It is prudent to inform the insurance company and also check if there are additional riders or any different conditions regarding the coverage for an NRI. Medical Insurance plans – Some illnesses or medical conditions require waiting period. Many of us prefer to have medical treatments done in India. Therefore it might be better off to keep the medical insurance plan in force. Other Investments – You may have other investments like Bonds, PPF, Gold and Real Estate. If you expect transactions in real estate, you might be better off by nominating a Power of Attorney (PoA) unless the joint owners are in India. The PoA will be able to transact on your behalf. Existing PPF accounts can be continued till maturity. If you do not have a PPF account, it might be a good idea to open it before you leave so that investments can be continued in it till maturity. The current rate of return is 8% which is attractive. Direct Equity – You will have to open a PIS (Portfolio Investment Scheme) account so that you can continue to invest in equities. The existing equities will have to be transferred to this account if you want to see them. Home Loan – If there are EMIs, they can be continued from the NRO account. If a really low amount is left, you can close the loan so that you have no hassles or documentation to take care of when you are abroad. If you want to store valuables and documents, you can continue to use it. If the entire family is moving and you do not think you are going to be back in India soon, you might want to give it up as you will be unnecessarily paying the annual fee. Convert the cards to international cards. If you have too many credit cards, analyse and discontinue the ones that are less beneficial than the others. It is a risk to carry so many cards. You might end up paying fees unnecessarily as well. As an NRI you have to file tax returns if you receive income in India that exceeds Rs. 2,50,000. Please note that the tax returns form is different for an NRI. This is separate from your tax liability in the country where you live. It has to deal with separately. Avail of Internet Banking facility if you have not done till now. Automate payments in India as much as possible. Ensure you discontinue subscription for things like additional phone, cable, newspapers, gym membership etc. Ensure that all important financial documents are in place. If possible e-document them and store them in a digital locker. That’s a good idea – I will definitely work on this. What types of documents would I need for an NRI account? I will suggest you to contact any Indian bank for NRE account formalities. I am NRI and having NRO and NRE Saving bank accounts in India. I want to transfer my fund in NRO account to my NRE account in the same bank. As per CBDT notification, NO 93/2015 dated 16th December 2015 effective from 01.04.2016 FORM 15CA and or 15CB is not required. However, the bank asking for FORM 15CA and 15CB. I have gone through various rules and notifications of RBI and CBDT as per these provisions Transfers/ remittances from NRO Accounts to NRE accounts for the specified 33 purposes covered under CBDT Notification No 93/2015 dated 16/12/2015 not taxable and certificates 15CA and/or 15CB are not required. But some of the banks do insist for such certificates from CA and account holder/remitter. Generally, banks ask for submitting 15CA/CB certificates even if they are not required as per rule. The bank takes this position and justifies that due to strict penalties and disclosures required by RBI and banks don’t want to take chance. When banks insist on these unnecessary and required certificates, account holders have no choice but to submit these certificates to banks so that they transfer funds from NRO to NRE. What is the correct position? Is there confusion in circulars/notifications of RBI/CBDT?. Which authority should clarify the correct rule position? Any good article clarifying correct rule position. How should I proceed to transfer the balance from NRO to NRE account in the same bank?